In the event that an accused individual accepts the findings of the investigation, those findings cannot be appealed. Post-hearing, any party may appeal the findings and/or sanctions only under the grounds described below. All sanctions imposed by the original hearing body will be in effect during the appeal. In cases where the appeal results in reinstatement to the institution or of privileges, all reasonable attempts will be made to restore the student to their prior status, recognizing that some opportunities lost may be irretrievable in the short term. If the Vice President for Student Affairs determines that new evidence should be considered, the complaint will be returned to the original hearing body to reconsider in light of the new evidence only. The hearing body will render a written decision on the appeal to all parties within five (5) business days from hearing of the appeal. The hearing body’s decision is final. 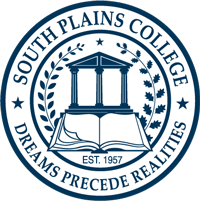 South Plains College provides two procedures which allow students the opportunity to address grievances of an academic nature. Only final grades or dismissal resulting from academic discipline will be considered. The instructor’s teaching ability or expertise will not be considered during the hearing. No grade or disciplinary action can be formally appealed after a period of six (6) months from the date that the student is informed. The student should schedule an appointment with the instructor of the course to discuss the final grade or disciplinary action. If the student is still not satisfied, she should schedule an appointment with the appropriate departmental chairperson to discuss the situation. The chairperson may request that the instructor also be present. If the student is still not satisfied, he she should schedule an appointment with the Divisional Dean to discuss the situation. The dean may request that the chairperson also be present. If the student is still not satisfied, he she should be advised of the formal appeal process. A request for a formal appeals hearing. A brief statement of what is being appealed. The basis for the appeal. Pertinent facts relating to the appeal. The agenda of the appeals hearing will include only those factors documented in the student’s appeal request letter. The Vice President for Academic Affairs will determine the date, time and place of the hearing, and notify the student accordingly. Vice President for Academic Affairs will preside over the hearing. Faculty member of the student’s choice. Faculty member and student selected by the Vice President for Academic Affairs. President of Student Government Association. The student who requested the hearing. Anyone the student or faculty member wishes to be present to substantiate the case. Hearing procedure:The committee will hear the student’s appeal during which the parties to the controversy and such representatives as desired will present all facts relating to the case. By majority vote, the committee will decide to sustain, amend or reverse the previous decision. The decision of the committee is final and completes the academic appeals procedure. Students who wish to appeal a campus traffic citation may contact the Dean of Students on the Levelland Campus, the Dean of the Reese Center, or the Director of the Plainview Center. Traffic and parking regulations are described in the Campus Parking and Traffic Regulations online or in the brochure available from the Campus Police Office and the Dean or Director’s office. Students who are on academic suspension or who have been denied general admission may appeal the decision to the Admission’s Committee. Complete information about academic suspension or general admission appeal procedures can be obtained from the Admissions and Records Office, the SPC website or MySPC. Appeals regarding admission into specific programs should be directed to the respective departments responsible for those programs.